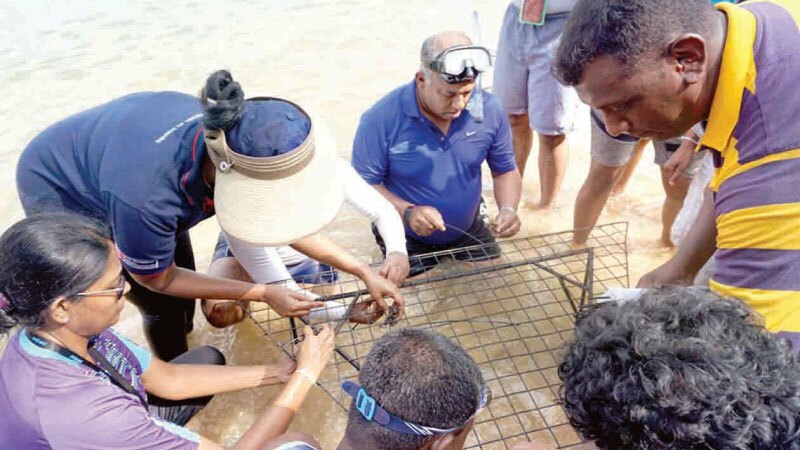 Life to Reef ; one of the key sustainability projects of Diesel & Motor Engineering PLC (DIMO), embarked on with an aim to protect and restore the beautiful coral reefs in the Bonavista Reef at Rumassala near Galle. DIMO is proactively involved in replenishing and restoring corals which are rapidly becoming an endangered variety of marine species. The latter initiatives by DIMO haves led to an unprecedented expansion in live coral coverage in this area. Latest statistics gathered by the Wildlife and Ocean Resource Conservation (a non- profit organization working on conserving bio-diversity of Sri Lanka), the technical partner of the project, have affirmed that coral coverage has increased from low percentage of 5% before November 2017, to a resounding 75% increase which spans over an area of 2.2 acres when measured in January 2019, contributing immensely to rejuvenate the rich biodiversity of marine organisms as a whole. Life to Reef initiative includes unique methods of coral restoration, which were experimented and found to be successful by Wildlife and Ocean Resource Conservation. The latter coral restoration techniques included planting corals on cement structures, metal frames and nursery racks which have been deposited by divers at the bottom of the sea. The first phase of the project which began in 2017 installed on the reef, followed by the second phase in 2018. The Company planted more than 1,000 coral nubbins covering the area in both phases. In a collaborative approach, the company constantly monitored the growth and progress of conservation efforts with the Wildlife and Ocean Resources Conservation, the Technical Partner of the project.The data confirmed that DIMO’s restoration efforts had contributed towards rehabilitating the reef and made possible the return of lost biodiversity to this environment.